Why Should you Schedule Roof Maintenance on a Regular Basis? | Everroof Ltd.
Why Should you Schedule Roof Maintenance on a Regular Basis? Irrespective of the location, facing extreme weather conditions is nothing new. Over time, weather conditions may result in roof leaks, cracked tiles and other external problems as well as internal damage to the property. If you are having issues with the roof of your home, the key step is to get in touch with any of the trained and experienced Roofing Companies Oxford. Hiring a roofing service provider is the best way to perform a detailed inspection and assess the level of damage to the roof. However, regular roof maintenance can significantly provide you with needed protection while saving you good amount of money. If structural integrity of the roofing is still not compromised, you can always think about roof maintenance over a complete roof replacement. Maintenance ensures extended roof life – One of the chief benefits of roof maintenance is the extended life of the roof. Yes, regular maintenance significantly enhances the quality and life tenure of the roof. The key process entails regular cleaning, repairing (if needed) and recoating of the roof. The entire process ensures the roof is kept in its best condition while protecting it from potential wear and tear. If we consider the life of a roof to be 20 years, roof maintenance can surely add up at least 10 to 15 years of life to the existing roof for just a fraction of the roof replacement cost. Maintenance saves a good chunk of money – Roof maintenance is undoubtedly a less expensive alternative to a comprehensive roof replacement. Which is why many homeowners as well as business owners prefer regular roof maintenance over roof replacement. As roof maintenance doesn’t need any tear-off or removal of the roof, you can save a good amount of money on labour cost as well. In fact, with a regular maintenance of your roof by any of the reputed Roofing Specialists Oxford, you can save around 50 to 70% of the cost compared to the installation cost of roof replacement. Maintenance puts off leakage – If the roof of your home has become weakened or if it is not properly sealed, moisture and water can easily penetrate the roof while finding its way to get into your properly. If left untreated such leaks can result in rotted framing, mold, sheathing, ruined insulation, damaged ceilings as well as other expensive damages to the property. But with regular roof maintenance, your roofing expert can identify any issue and suggest to repair broken shingles or cracked areas that could otherwise cause water leaks. Maintenance is always sustainable – Apart from the economic benefits, roof maintenance can notably offer a number of environmental advantages. With proper roof maintenance, the roofing professional can repair an existing roof instead of installing new materials making it more of an eco-friendly option in comparison to roof replacement. Besides, preventing tear-off waste, roof maintenance can often wind up in less energy expenditure. 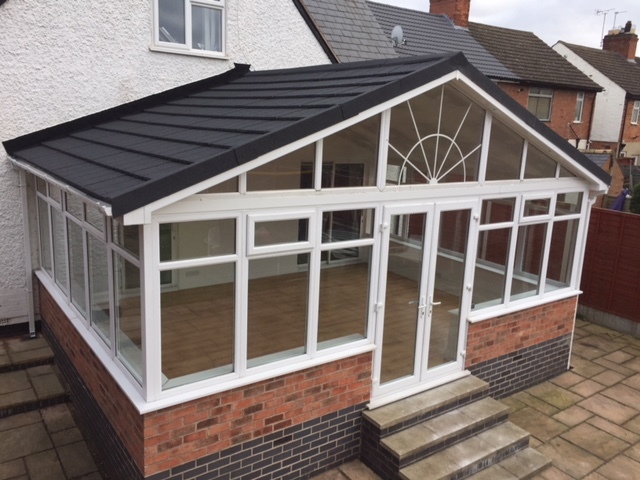 If the air leaks out of the home, roof maintenance by best Roof Conservatories Oxford pays for itself while saving you significant amount of money on your energy bill at the end of the month. These are a few things that you can regularly make use of by maintaining the roof of your home and/or office on a regular basis.